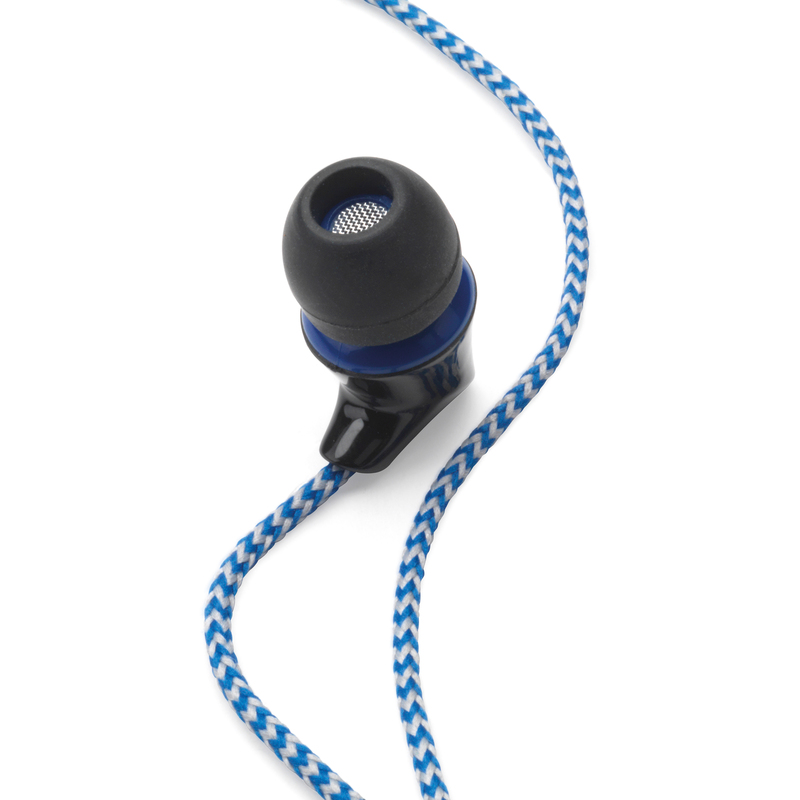 Enjoy all your favourite songs in style with these Intempo earphones featuring a flexible blue and white fabric cable. With a built-in microphone for hands-free calling and high quality dynamic sound, these earphones are ideal for everyday use. 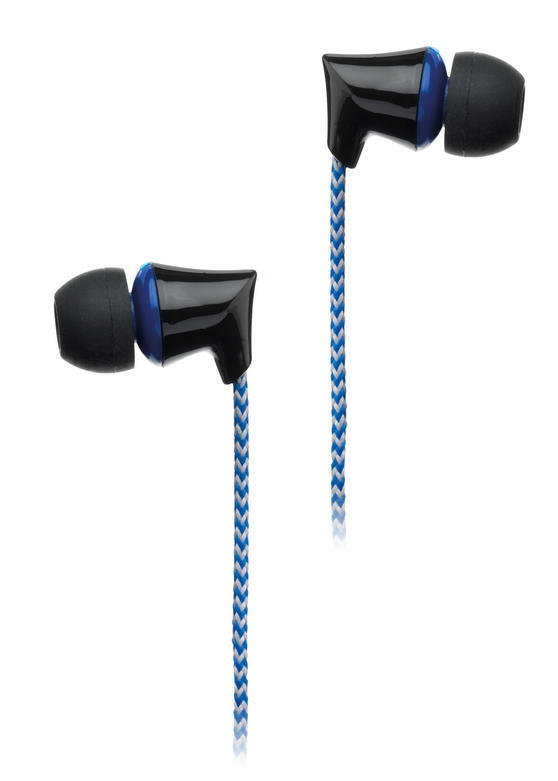 The soft earbuds are cushioned for maximum comfort and 3 sets are included so they can easily be replaced when old, worn out or lost. With a 3.5 mm stereo jack they can be used with most music players so you can listen to brilliant music wherever you are. Liven up your day with great tunes using these high quality Intempo earphones with a built-in microphone for hands-free phone calls. They have a 3.5 mm stereo jack compatible with most MP3 players, Smartphones and tablets so you can use them with all of your devices. It has a smart looking blue and white fabric cable that provides flexible movement for comfort and style while you are out and about. The long cable measures 1.2 metres so you can simply place your music player in a pocket or handbag while you listen on the move. 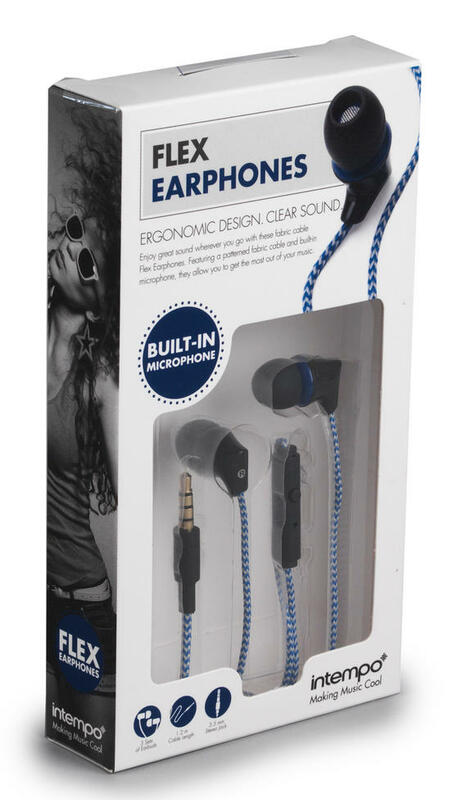 Durable and long lasting, they come with 3 sets of cushioned earbuds which are soft and comfortable to wear for long periods of time.